Marketing people think that marketing is a battle of products and believe that in long run the best product will win. They are so preoccupied with doing their product researches, getting the facts, making sure that they have the best product in the market. It’s when they reach to market they realize that all that exists in the world of marketing are perceptions in the minds of customer or prospect. It’s then when they realize it’s all about product positioning in marketing that matters. Confused? – Don’t be. This blog will unearth some facts and will let you know what is positioning in marketing? and why is it the most important factor for the success of the products? So, what really is Positioning in Marketing? In very simple and crude words, positioning in marketing is a strategic process that involves creating an image of the brand or product within target customers mind. 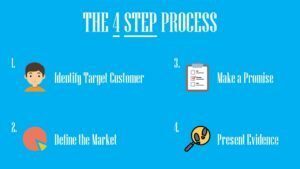 The process operates on the symbolic level of consumer’s consciousness and is a long-term effort that is aimed at creating a distinct image/identity in the minds of the customers and then solidifying formed image/identity through continuous marketing initiatives. The three largest Japanese imported cars in America are Honda, Toyota, and Nissan. Japanese automobile makers sell the same cars in united states as they do in Japan. Honda sells twice more cars in united states as they do in Japan and it’s just because of the perception that Japanese and Americans have of Honda as a brand. In America, people regard Honda cars (being a Japanese imported car) as best in class with superior quality, horsepower etc. In Japan, Honda got into customer’s minds as a motorcycle manufacturer and apparently, most people don’t want to buy a car from a motorcycle company. So, it’s just customers perception that made Honda a success in the American market and not so successful in the Japanese market. Since, we have outlined that how important is positioning in marketing, let’s go about and check out the process of how brands go about positioning themselves in this highly competitive marketing landscape. Conducting a thorough competitor analysis lets you find out your strengths and the weakness against your competition and find out gaps that are still there in the market which can be filled. Competitor analysis also helps in finding the key capabilities that the competitor possess and what are their future plans and strategies. Examining competitors position helps you know the current standing of the competitors, intensity of competition and attractiveness of a market. It also allows you to analyse the power the competitor exercises in the market and is it feasible to enter a particular market or not. Answering the below few questions can allow you to state your current position in the market. What customer needs does your brand meet? You need to understand your own market positioning and the perception that you hold in customers mind in order to understand where you are and where you want to go. After all the above analysis you now must be in a better state to define who you are, what your strengths are, what your weaknesses are, who is your target audience and what really is your customer looking for. And now it’s time to come up with an idea and form a statement which can sum all these things up in one. Probably one of the most important statements in a marketing plan. Positioning statement becomes the crux of all the communications and marketing strategy & promotions that you will do for your brand. The positioning of a brand outlines its target customers, a problem it promises to solve and the benefits it will provide to its audience. And a positioning statement is nothing but a simple sentence that tries to communicate the same emotion to its audience. A positioning statement is a short, unique and declarative sentence that addresses the target markets most pressing problem and conveys a promise and a solution to overcome that problem. Below layout depicts a 4-step process for forming a positioning statement. Nothing should be left to chance, especially if it is a positioning statement. Once you have drafted a positioning statement, it’s time to test it out and see if the statement resonates the same emotion and feeling in others as well as it did in you. Try answering below few questions (you can have your own as well) to get a better understanding if your drafted statement was a success or not. Does it paint a clear picture differentiating your brand from the competitors? Does it match what surveys reveal to be accurate customer perceptions of your brand? Does it leave room for growth? Does it identify the unique value your brand provides? Does it focus on your core customers? Devising a certain positioning in the minds of the customer is not an unassailable task, it just needs a clear understanding of market problems, proper brand and product strategy, futuristic vision, defined goals and most importantly a good customer understanding.